Clearance: Where you'll find our sale bargains! Swimwear, beach dresses, kaftans, clothing and more. 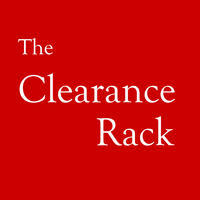 Returns: Our usual Free Post policy doesn't apply to Clearance items. You will need to pay for postage back to us if you need to swap for a different size. If it's in stock we will happily swap it for you and we'll pick up the postage back out to you just as we do for any other item we sell. It's best to check with us first to see if we have the size available as Clearance stock sells fast! No Refunds: Unfortunately we are unable to offer refunds on an item in Clearance. The idea is to mark them down and move them out...for ever. No Store Credits: Sorry. There are no store credits on Clearance items. If you have any questions, please don't hesitate to Contact Us. We're here to help!